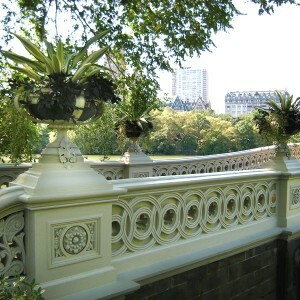 Designed by Central Park co-designer Calvert Vaux and his assistant Jacob Wrey Mould, Bow Bridge is the second-oldest cast-iron bridge in the United States. 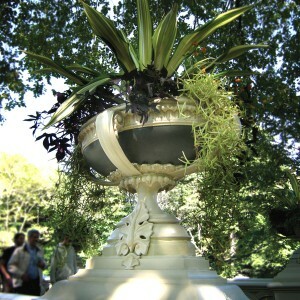 Restoration included replacing eight 3.5 foot cast iron urns that were removed nearly 100 years earlier. 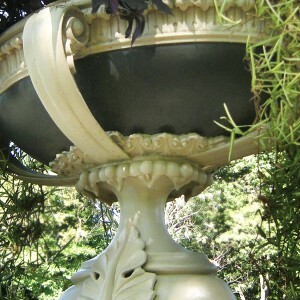 Robinson Iron’s skilled craftsmen used historic images and one original urn previously kept in storage to create pattern work to replicate the urns in cast iron. Once completed, the urns received polychrome painting and were reinstalled at original locations on the bridge.